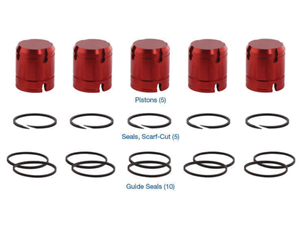 Accumulator piston scuffing and bore wear are common issues in valve bodies, especially when running increased pressures. 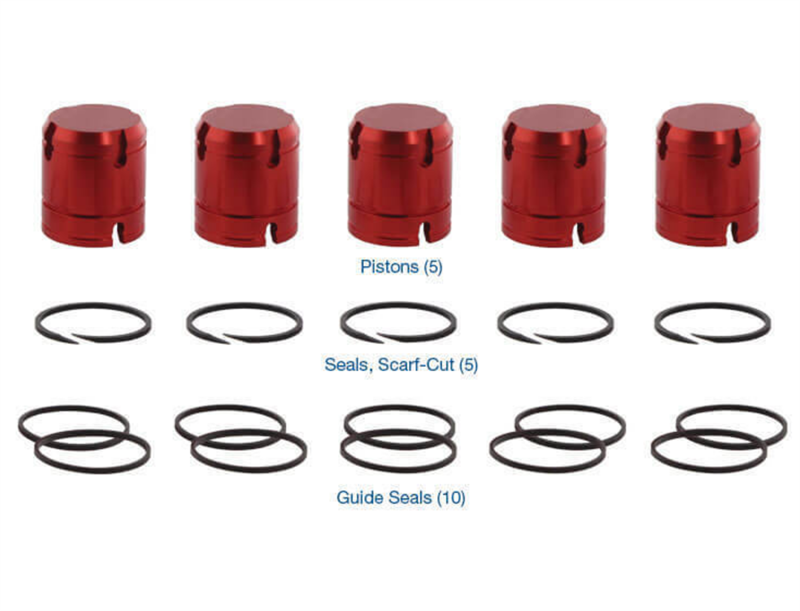 The OE accumulator pistons have two seal rings. 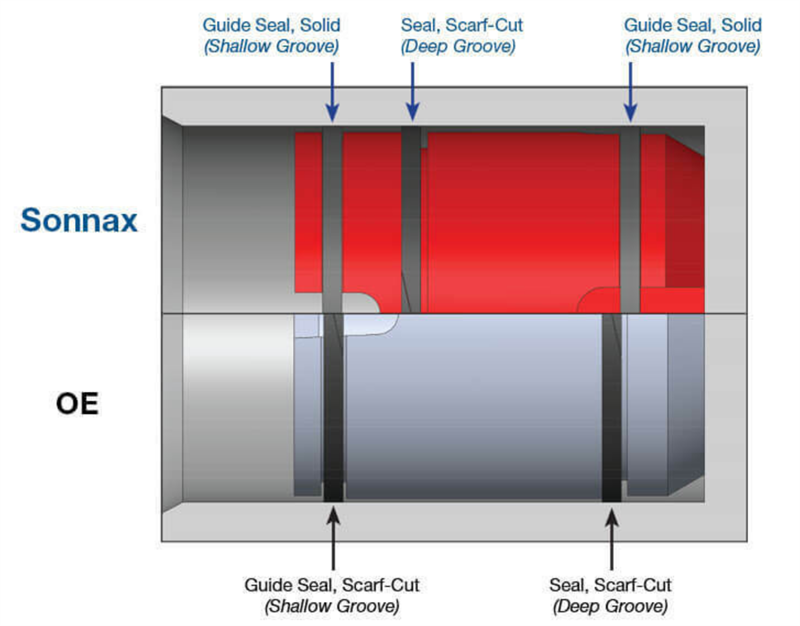 The seal groove at the open end of the piston is a larger diameter, with the seal ring acting as a guide to prevent piston-to-bore contact. The seal groove at the closed end of the piston is a smaller diameter and the seal ring acts as a conventional seal. resulting in scuffing, wear and leakage of clutch apply pressure. 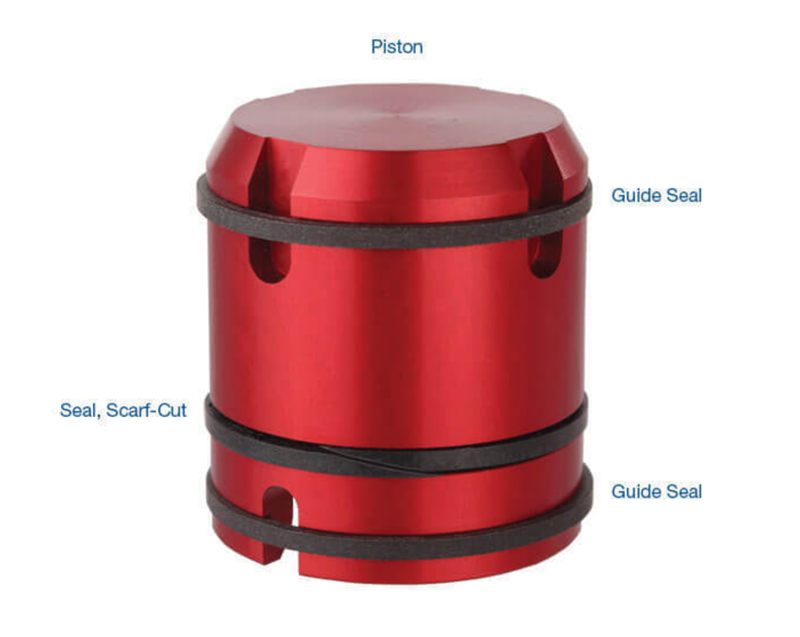 one at each end of the piston to prevent piston-to-bore scuffing when side loaded. un-worn portion of the bore enabling bores with moderate scuffing to be salvaged. with plastic pistons to prevent transmission failure due to piston breakage. These Valve Bodies Always Also Need The HD Steel Accumulator Support / Cover Plate. There's a heavy duty one in the transgo shift kit part # 72165T, and Sonnax also offers a plate update kit. We strongly suggest to not overlook this additional plate while you're right there with the valve body removed.